The Rights and Responsibility of the Soul: a journey of synthesis between being and existence. In this work, through the meta-model of psychosynthesis founded by Roberto Assagioli, referring particularly to a shared view and intentionality to root the transpersonal dimension in life, I present a cartography of the Self (Soul) journey that I consider a way to map certain core characteristics that I call Rights of the Soul. This working hypothesis is intended to open the core centre of the Self to the dynamic manifestation and realization of its transpersonal qualities, which can be experienced through the synthetic journey of embodiment in relation to the whole person and all relations of Life. Within this process the term “Rights of the Soul” is used specifically as a coherent expression of humanizing the transpersonal dimension represented by mirroring the face of the Self (Soul) in full contact with the inner and outer environment through relations. Indeed, it is through relationships that we trace the transpersonal needs to be met, connecting to the qualities and realizing the patterns of the rights, through an embodied, felt and willing experience. However on the other hand unmet rights with their needs and qualities express Soul wounds to be acknowledged specifically with their defenses and even psychopathology. In this presentation the relevance of direct healing work with and through a “Soulful Self” is illustrated, emphasizing a subjective impact and its wholesome inter-subjective presence. The responsibility of the Soul together with other forms of Life towards wholeness expressed by the 16 Rights presented, will be reciprocally affirmed. 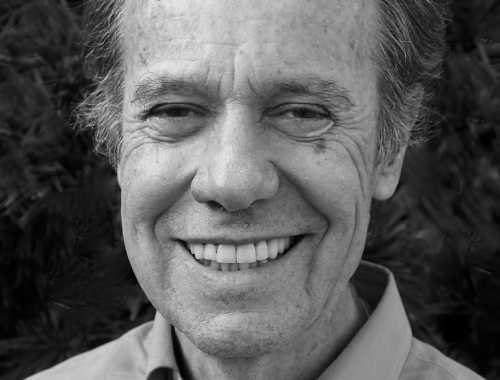 Massimo Rosselli MD, is a psychiatrist, clinical psychologist and psychotherapist. He is a licensed psychosynthesis psychotherapist and trained with the founder Roberto Assagioli. He is a founder of SIPT, the Italian Society of Psychosynthesis Therapy that created the School for Psychosynthesis Psychotherapy of which he was Director, and President of the Society for many years. He has been a didactic trainer, teacher and supervisor in the School of Psychotherapy and the School of Counselling since their foundation. He is a trainer and teacher at the Institute of Psychosynthesis in Florence. He has directed the Service of Psychosomatic Medicine in the University Hospital, Florence and was professor of Clinical Psychology and Psychosomatics in the Faculty of Medicine and of Clinical Psychophysiology in the Faculty of Psychology, Florence University. His main interest is body-mind-transpersonal integration through teaching and clinical research and therapy. He is the author of over 120 publications and “An introduction to psychosynthesis” and editor of 4 books. He today practices psychiatry, individual and group psychotherapy and lectures and teaches in various European countries.